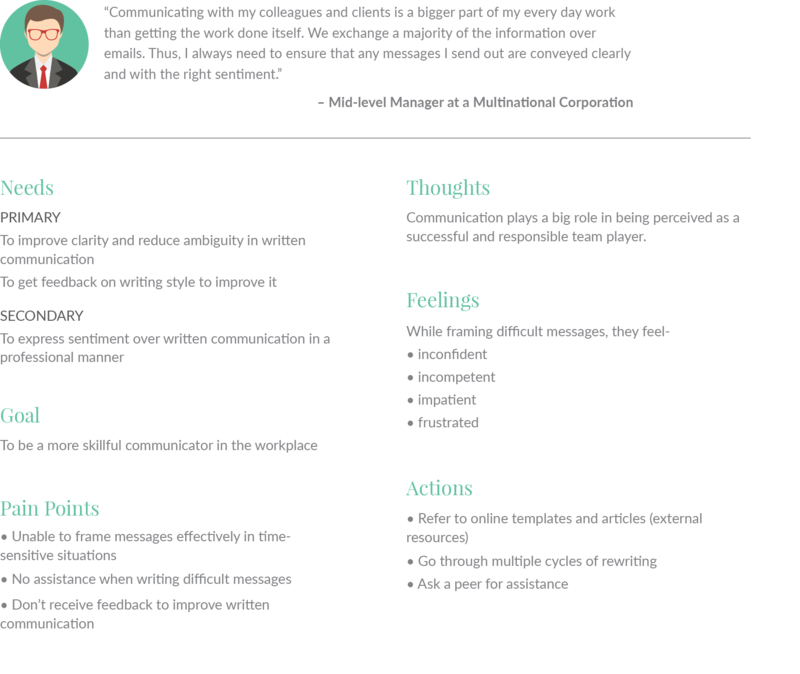 A universal plugin that encourages working professionals to be more emotionally intelligent communicators. 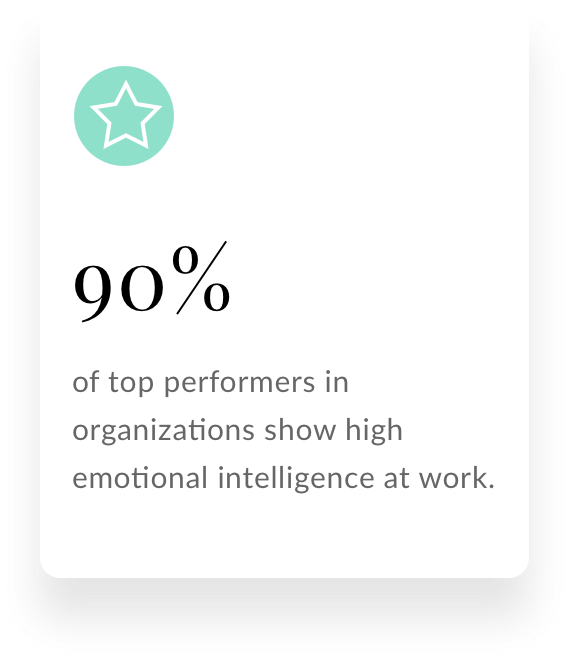 to be more emotionally intelligent communicators. A study in how deep learning can influence the impact of written communication done by working professionals on digital platforms. 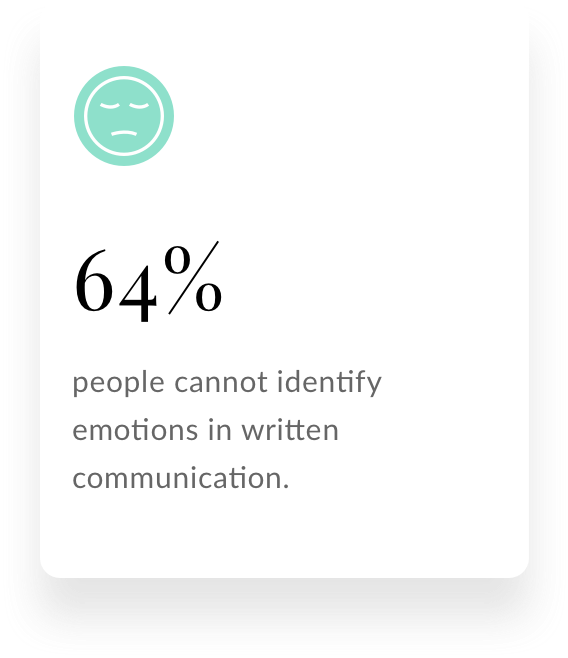 The lack of emotional intelligence– the capacity to be aware of, control, and express one's emotions, and to handle interpersonal relationships judiciously and empathetically– over digital written communication platforms at work can lead to increased instances of miscommunication and misinterpretation of one's message. 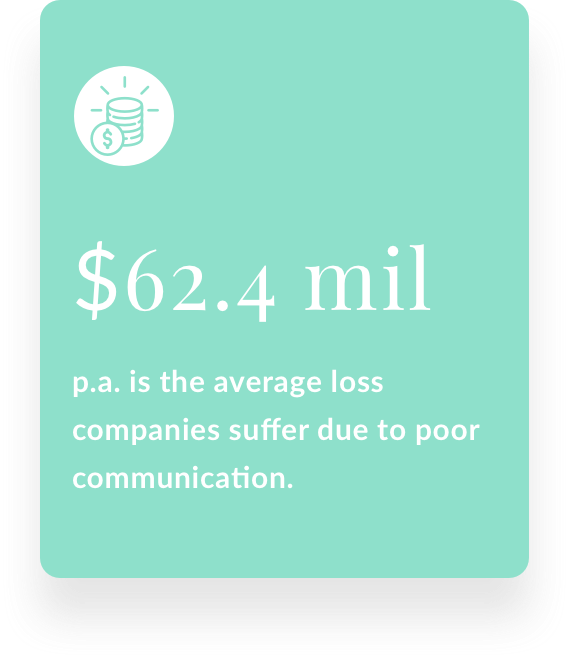 How might we minimize unintentional negative digital communication and encourage emotionally intelligent communication at work? 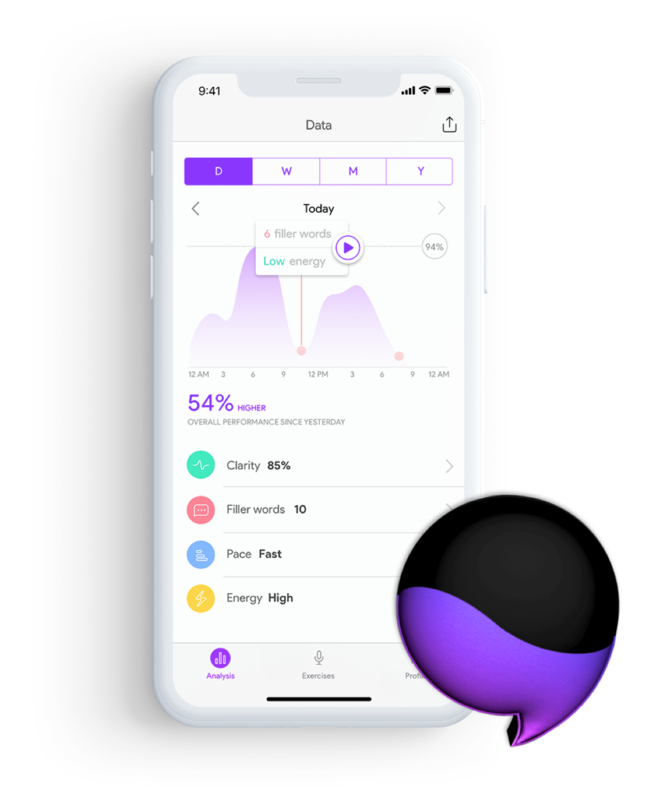 emotion.ally is a desktop plugin and mobile keyboard that enables working professionals to become more emotionally intelligent communicators on digital messaging platforms, by offering them alternative suggestions and feedback to reduce the ambiguity of intent and tone in messages. 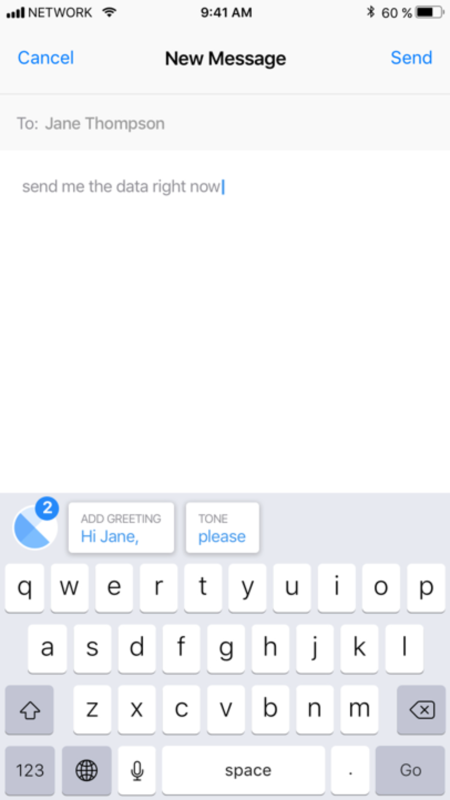 This Analysis interface is for both assessing the personality of a received message, as well as the one the user is writing. It gives the user an idea of the overall personality of an email and how to approach it. 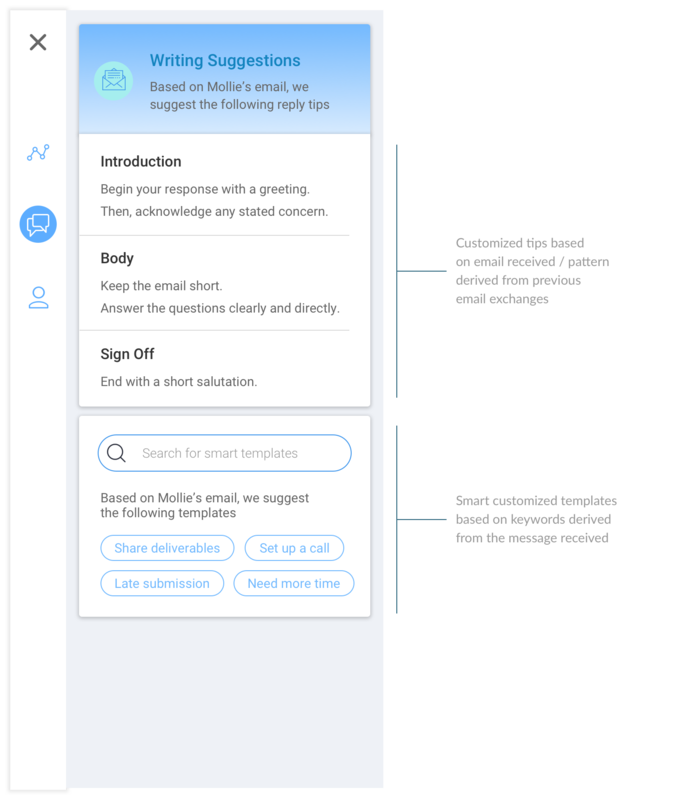 When responding to an email, this feature takes into account the content of the received email and provides response suggestions and templates accordingly. 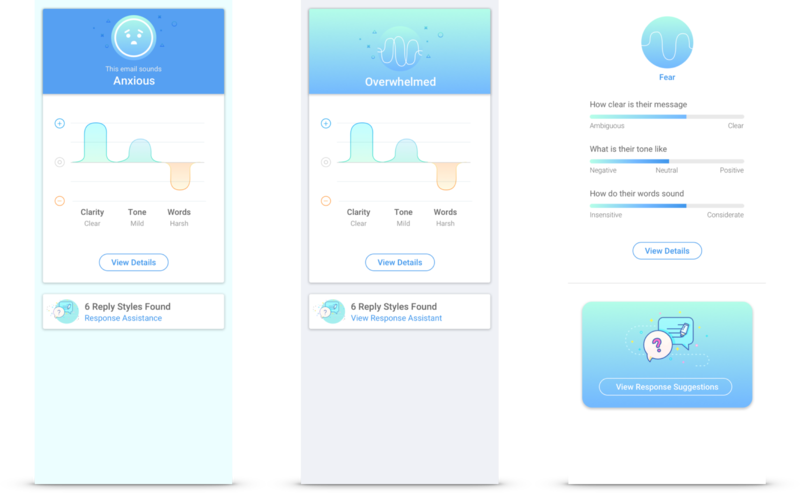 This section showcases the user's progress over time since they started using emotion.ally via gamifying the product with achievement of levels. 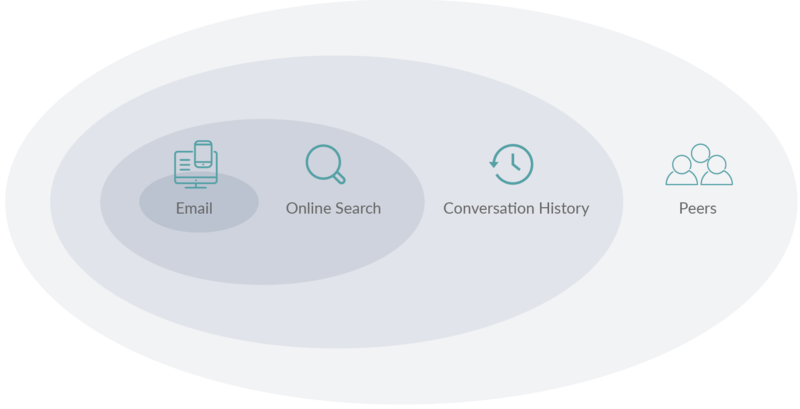 The top shows an overview, followed by a breakdown of their performance, as well as tips to help improve recurring challenges. 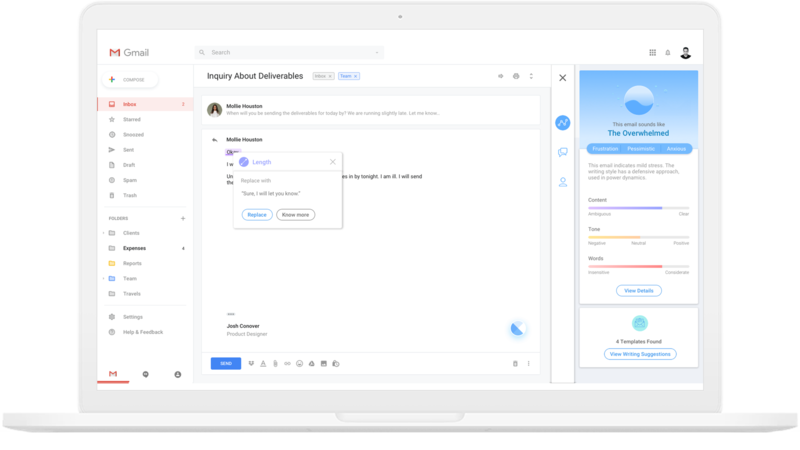 The emotion.ally plugin dashboard presents the personality of the email via a category along with an animated icon and offers a short description. It further deconstructs the content, tone, and words of the message. Hovering over the highlighted areas of the written message shows the classification of the error, and also offers an alternative suggestion for the respective phrase. This representation also dynamically changes on the plugin progress bars. 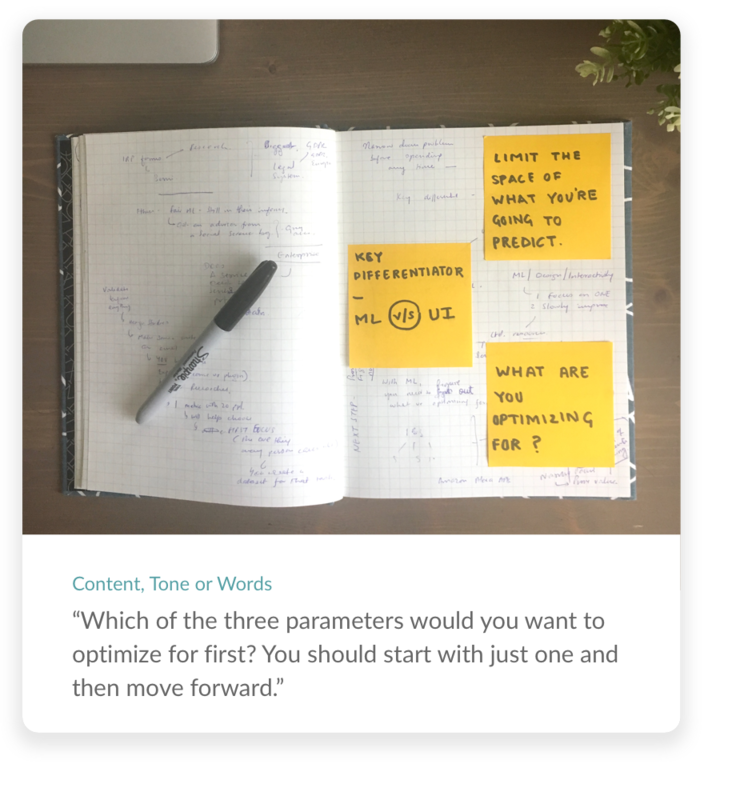 Hovering over the highlighted areas of the written message show the subset the area of improvement is related to, and also offers an alternative suggestion for the respective phrase. To know more about a highlighted section, the user clicks on 'Know More' which expands the plugin and shows them statistics and suggestions by experts on the reason for the highlight and the alternative offered. The expanded view offers a list view of all highlighted areas in the content, allowing for quick and efficient correction of errors. The profile shows the user's achievements through evolving levels. It also shows them their progress in clarity, tone of writing and word choice since using emotion.ally. Finally, it offers tips on challenge areas and how to improve upon them. 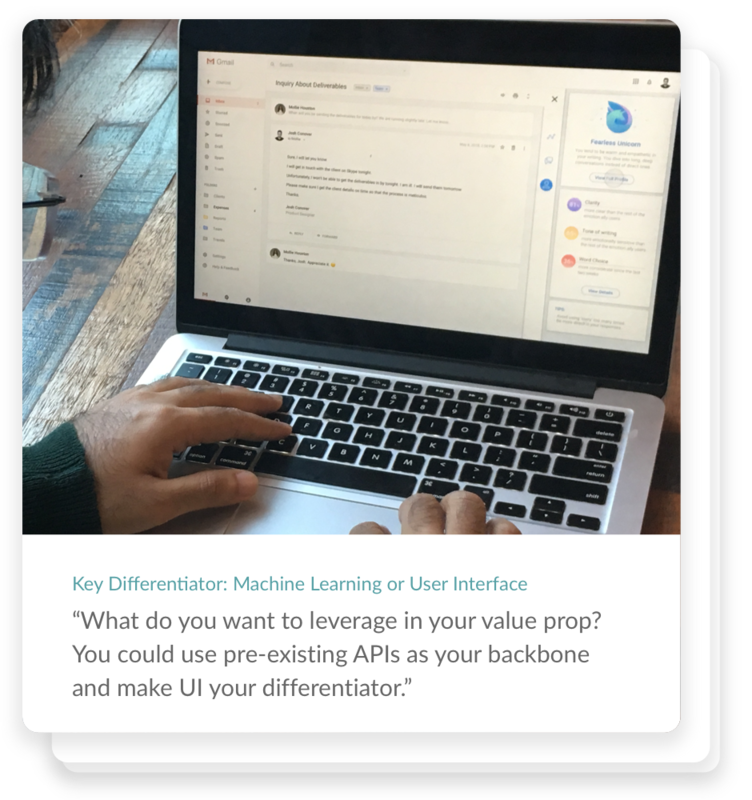 We envision the emotion.ally plugin to extend itself to an ecosystem of products beyond email, ranging from work related chat platforms like Slack as well as the mobile keyboard. We interviewed people of age groups between 23-59 years, with backgrounds ranging from tech to fashion to education to understand instances of miscommunication over digital platforms. "For important conversations. I think about my answer before sending a reply. I usually type it down on another platform like Word, and then copy paste it to email to avoid any mistakes." "My boss would respond to my emails with one word answers. I understand he was higher up and a busy man, but it felt curt and insensitive... it took me a while to stop taking it personally." "It's annoying when the subject of an email has nothing to do with its content. I'm super particular. Many people in my department come to me to help them write important mails." People often write important messages on external platforms like first in order to avoid mistakes. People often look for external resources and assistance to write and understand important messages. Receivers like to seek clarity in the first glance to get the intent and tone of the message received. 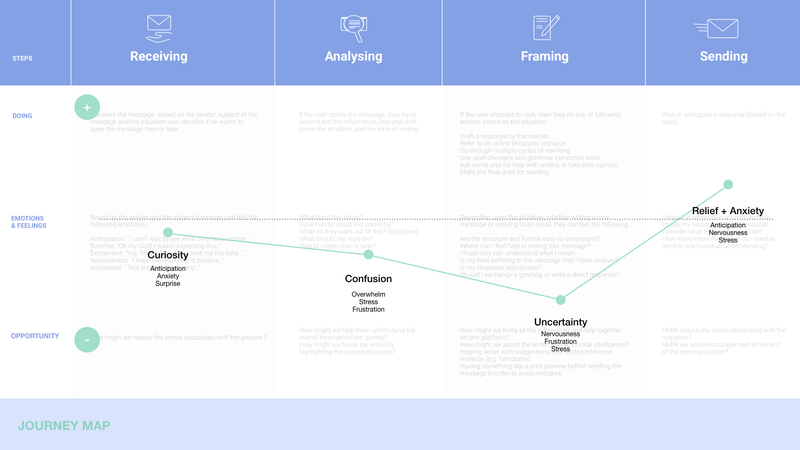 We designed a persona to serve as a cumulative representation of all the common user needs, goals, thoughts, feelings, pain points and actions into account, that we derived from our interviews and insights. From the interviews we discovered that to understand a message and respond to it appropriately, people seek assistance from several resources to ensure any lack of errors. We looked at the basic model of communication to understand how 'noise' of any kind disrupts the communication and understanding process. 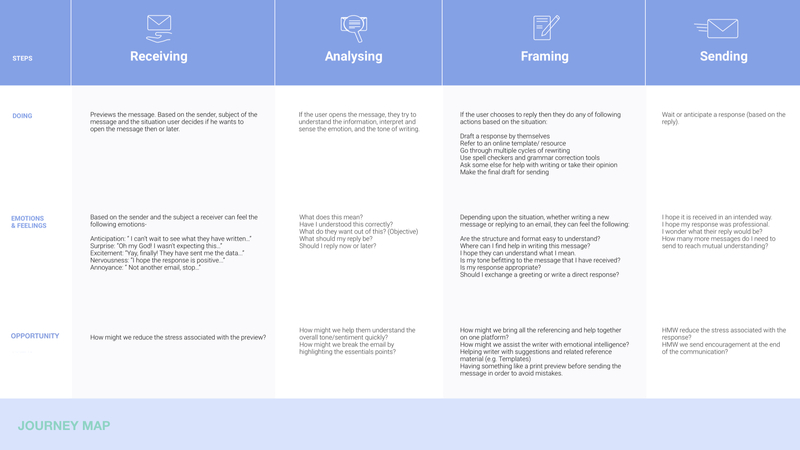 On the basis of that we created a journey map to understand what a person might go through when interpreting and replying to a message that is unclear in tone and intent. A market study revealed APIs and plugins based on deep learning and/ or AI in the market. 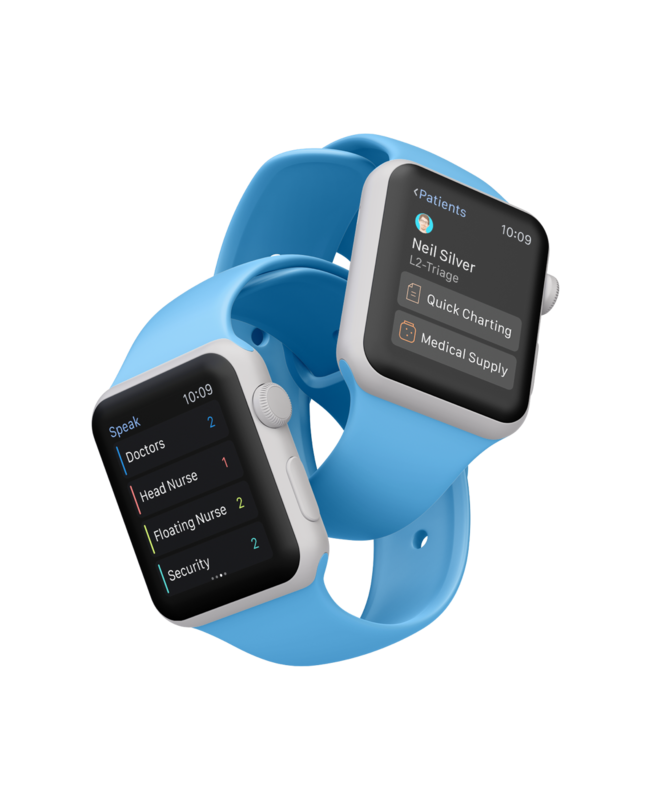 However, almost all cater to utilizing the tech to make the customer care experience better for businesses. This led to us finding opportunities areas that lead to creating key differentiators in the market for our solution. 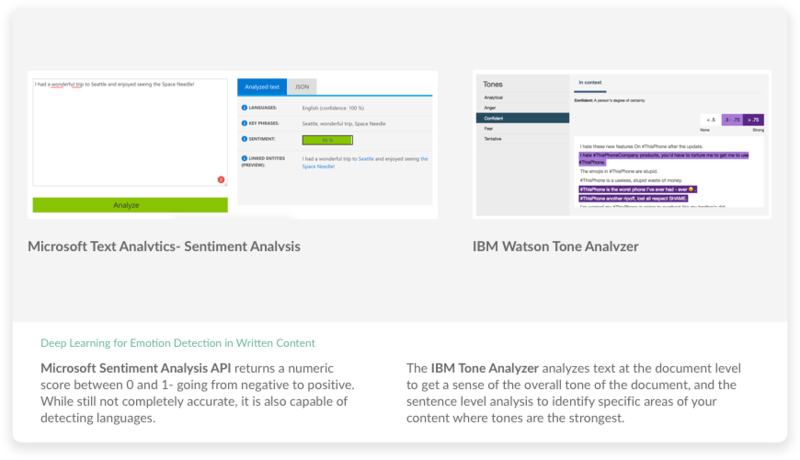 Help users understand the tone and sentiment of a message quickly. Enable people with vocabulary to convey their message clearly. Make all references and help for analysis and writing easily accessible. 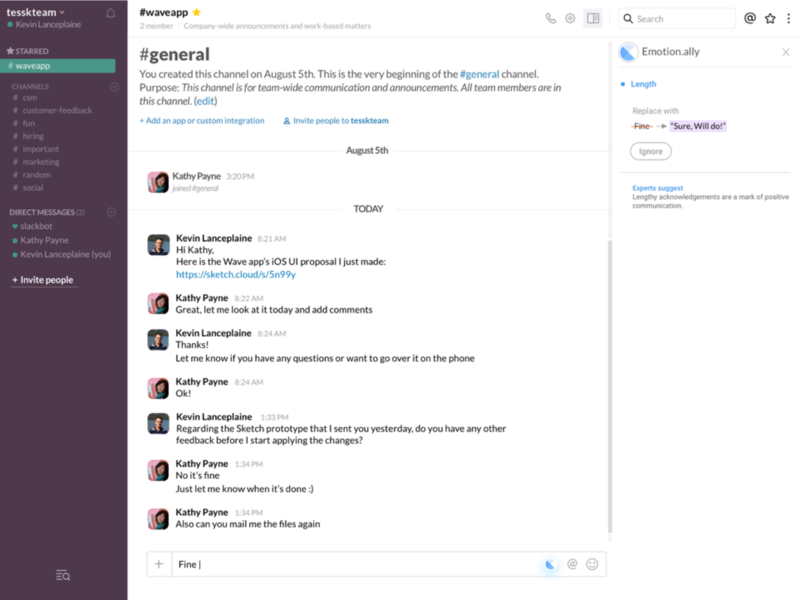 Celebrate milestones and encourage users to be positive communicators. Give the writer an opportunity for a final preview to reduce errors. Why universal and not culture-specific communication principles? Keeping in mind the limitations of the technology, we decided to focus on an English speaking demographic that adheres to more universal principles of communication in their day-to-day professional communications. However, smaller, culture-centric businesses might benefit from more specific cultural environment specific principles. Why only focus on work-related and not personal communication? Through our secondary and primary research, we discovered that personal conversations have their own rules unique to individuals, cultures, and groups where universal rules of communication can’t necessarily be applied. Also, people don’t want intrusion in their personal lives. E.g. sharing personal jokes between friends, flirty messages between partners, etc. Why focus on the personality of the message and not the sender? Through our observation and research, we learned that contrary to the steady personality of an individual, each email is written in unique circumstances and environments. Therefore, every email written by an individual can have a different and unique personality. 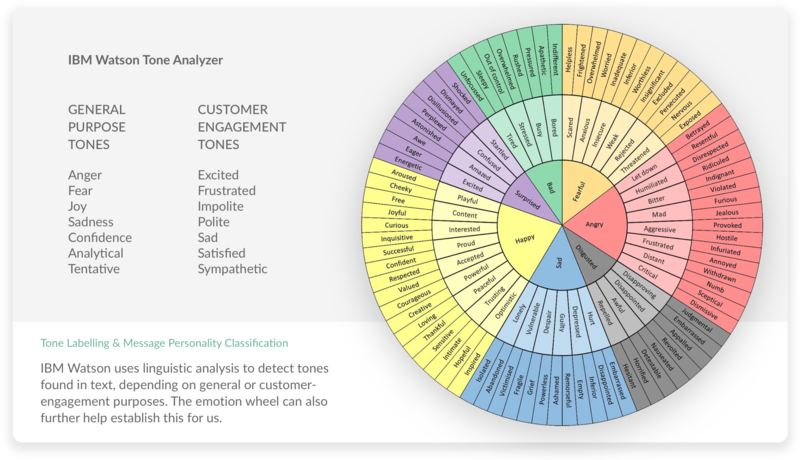 We created our first rapid prototype to get quick feedback from people- it was a basic version of the plugin with two features– tone analysis and alternative suggestions. 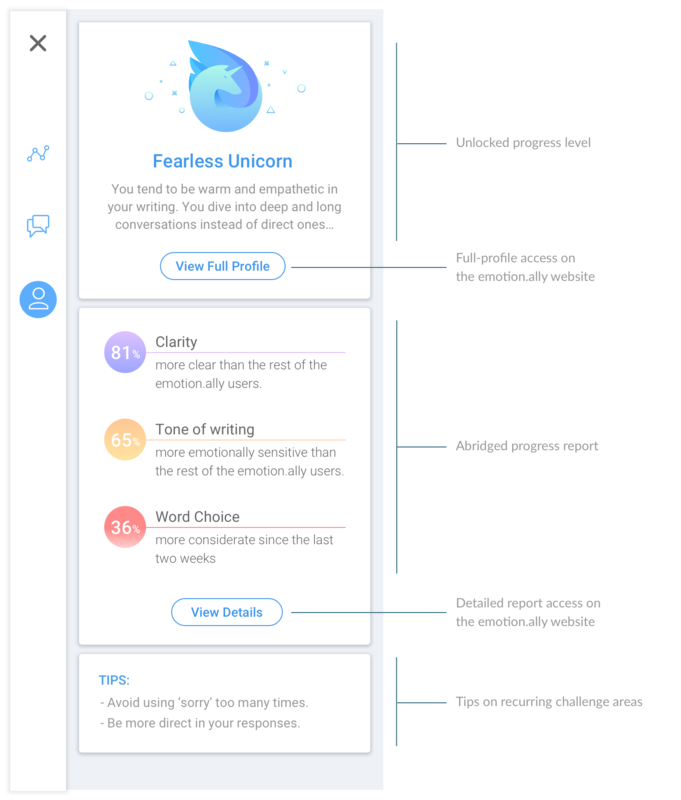 We primarily got feedback on the elements used like underline being mistaken for spell check, and some emoticons being interpreted differently by everyone. Also, how would you make corrections in the case of multiple errors? 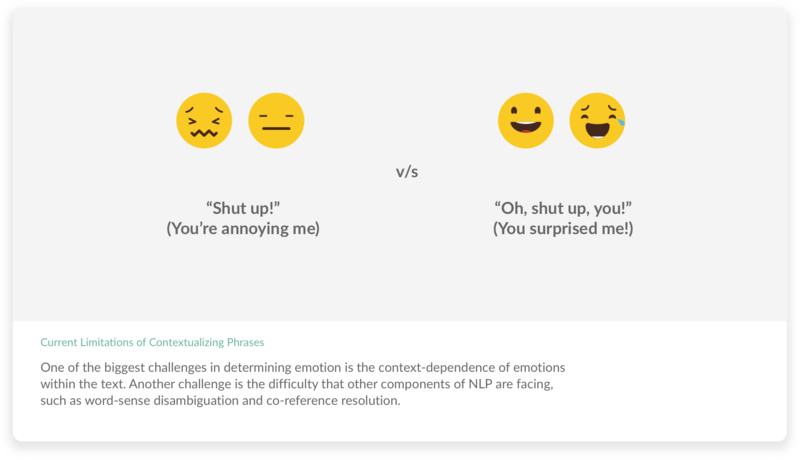 For the next iteration, we did several rounds of exploration for the plugin, especially on the Analysis screen where elements such as the top personality icon as well as progress visual graph had to emulate the dynamic nature of digital conversations, and yet had to be quick and easy to understand. 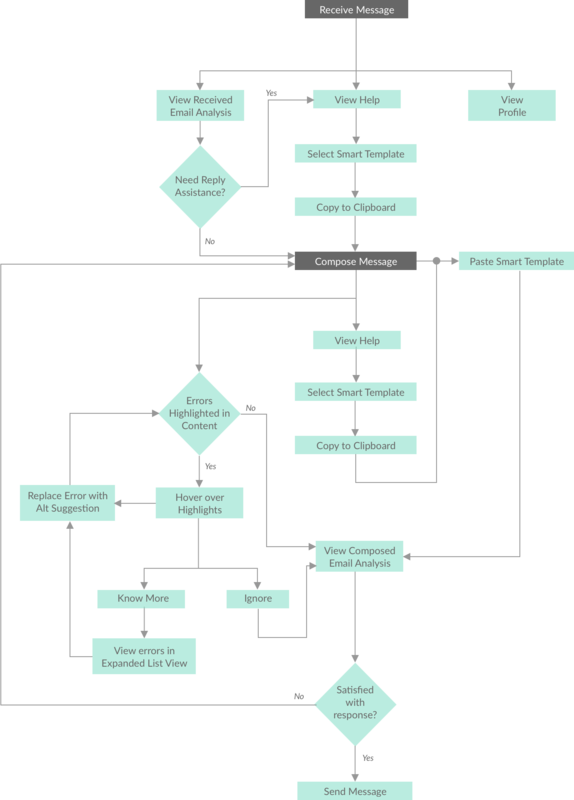 After discovering the key opportunity areas and our first round of testing, we created the user flow where we covered the process from when a user begins to use the solution to the completion of the task. 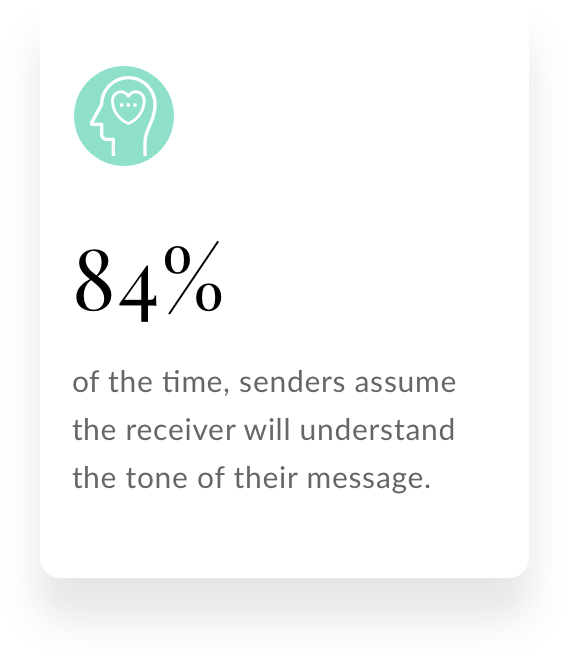 The user can either begin the process when they read someone's message and respond to it, or begin it when composing a fresh message. 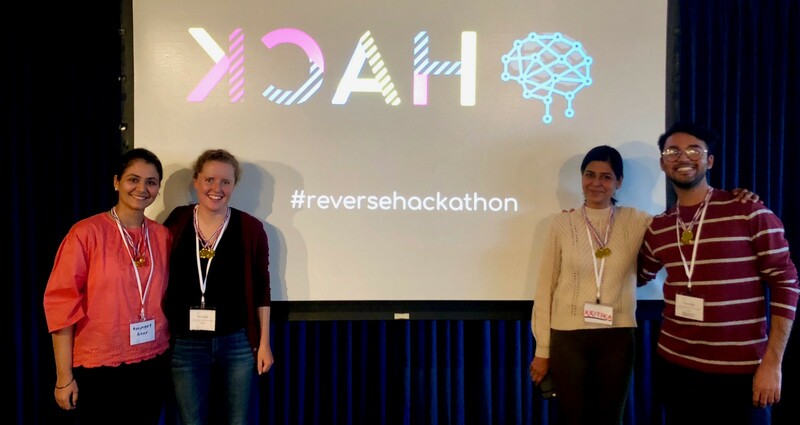 I got the opportunity to test the second version of emotion.ally out with Rohit Jain, a Machine Learning expert at Twitter, San Francisco to figure out the next steps for emotion.ally. 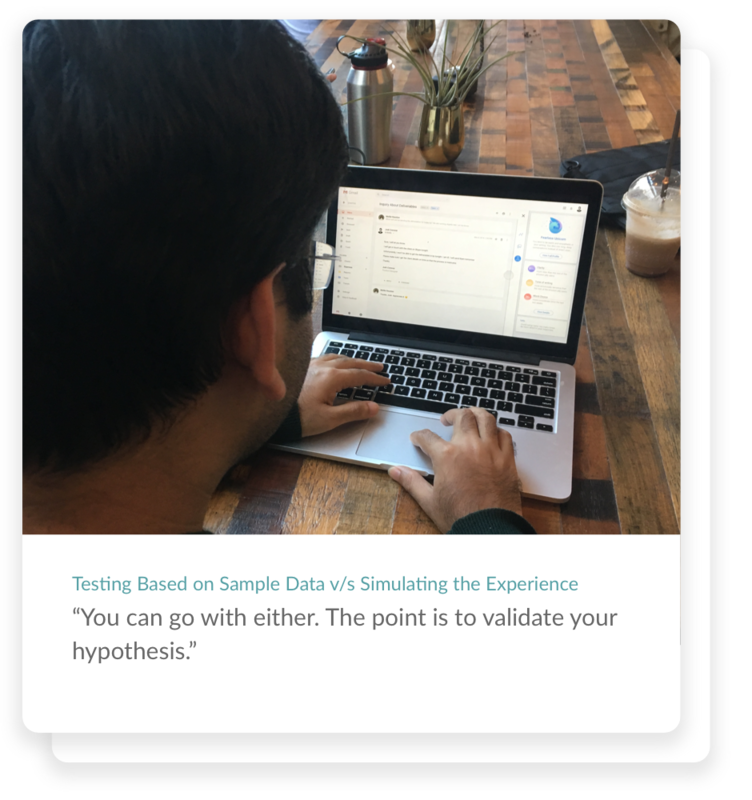 He gave me pointers on how to user test this prototype, and which features to leverage and optimize for first, from a business perspective. 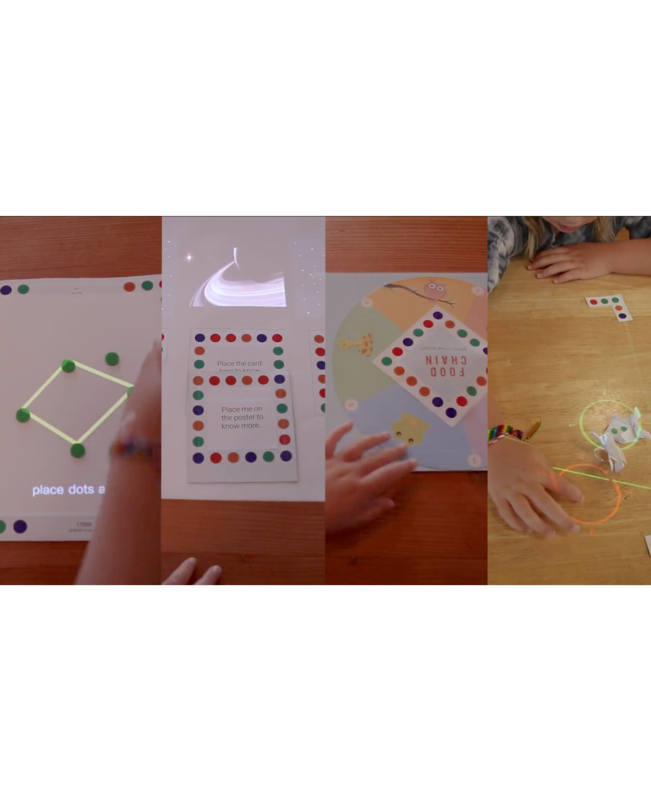 This project gave me the opportunity to understand deep learning and its possible applications, and the confidence to adapt to embracing designing with new technologies. I had a large real estate to prototype for on desktop, to build a unique interface for which I developed my own design language. It became a great exercise in finding a balance between function and form in my product design practice. Keeping time constraints in mind, we limited this solution to serve an English speaking audience. However, even in the same language, the cultural idiosyncrasies in work-related communication are different between, say, across Indian, American and British English. Machine learning still has a long way to go in deconstructing language patterns to this nuances. 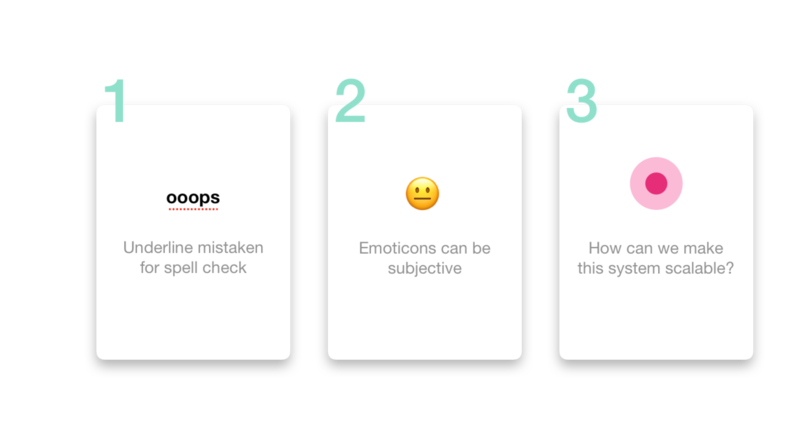 While we designed the solution to serve as a non-intrusive assistant to the user that only intervenes if the emotional intelligence of the content is below neutral, we still need to find a balance where the person isn't forced to express things that aren't true to their stance or feelings. 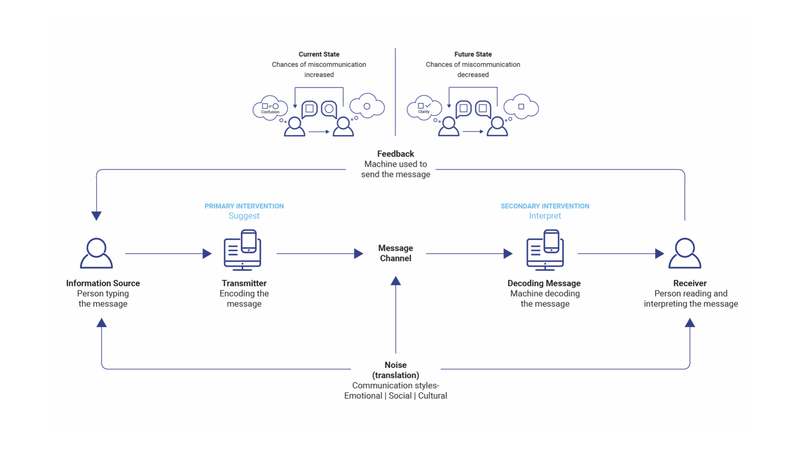 For emotion.ally to work ideally in the real world, we would need users to give us access to their email and chat platform data versus general crowdsources information, to make feedback for them more personalized. However, sharing work data might be a point of concern for the individual or company. 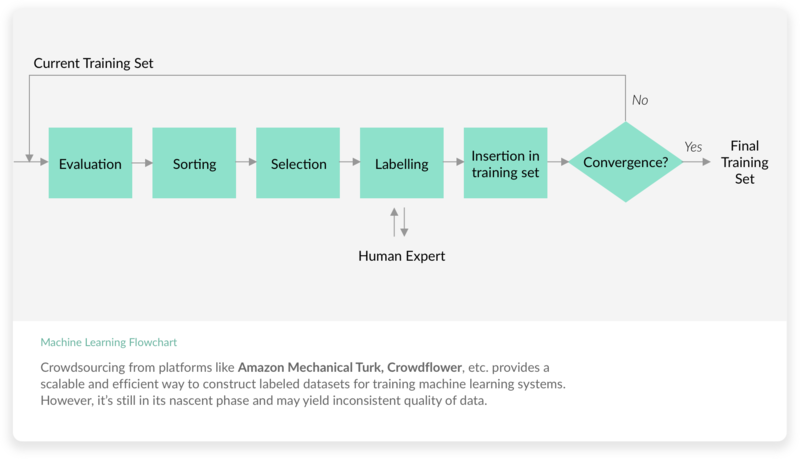 • study how to collate crowdsourced data from public platforms for labeling. • create a testing-friendly prototype. • create a business model canvas and compare the value of freemium to premium model versus a B-to-B enterprise model.